A boy travels with his father to a special place where no people are. While on this trip, the boy wonders what will happen in the future to nature and the environment. 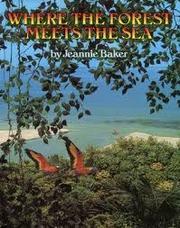 Baker, Jeannie, “Where the forest meets the sea,” Children's Picture Book Database at Miami University, accessed April 26, 2019, https://dlp.lib.miamioh.edu/picturebook/items/show/7980.